A wise man once said “everybody wants to go to heaven, but nobody wants to die”. I often find that the way many people deal with the subject of death ironic; many children find it difficult to discuss the topic with their parents, and the same sometimes applies to spouses. I cannot stress enough the importance of estate planning, and its role in reducing the stress associated with the death of a loved one. There are several estate planning techniques. These include: life insurance policies, trusts, gifts, retirement pension plans and wills. This article shall focus on the importance of making a valid will. A person is said to have died ‘intestate’ where he has failed to make a valid will during his lifetime – as well as also failing to use any other legal means to transfer his property to his heirs or next of kin. Where this is the case, the applicable state laws will determine what happens to the estate of the deceased. This may be either customary or statutory laws. Customary practices vary from region to region. I am sure everyone has watched that Nollywood movie where the husband dies and family members immediately come in to take possession of all the guys properties, kicking out his wife and infant children in the process. A friend of mine is from a very wealthy and very large Nigerian family. His father has many children with several women. On day we were chatting and I randomly enquired if he had ever asked his father about having a will, his reply was “so that he can insult me and say I am the greedy child that is trying to kill him because of property abi…. please I cannot ask him that kind of question”. I found it quite strange. The need to have such a conversation was glaring in light of the fact that it was a polygamous home; yet, most people would rather not have the conversation because it made them feel "uncomfortable". The blunt truth is, even the most united siblings are likely to bicker as a result of a wealthy parent dying intestate. This is then amplified where there are many children from many women, all of whom have presumably equal rights to the estate. A will is a very important estate planning tool, as it determines who inherits assets and valuable properties upon death. Aside from this, and more importantly, it caters for who will take care of orphaned children, if any, and exactly how the burial is to be arranged. Many people do not appreciate the damaging effect on the family if a loved one dies intestate; aside from discrepancies as to the distribution of the deceased's personal estate, I have witnessed an instance where the family of the deceased disagreed as to where they should bury their loved one, country of origin or country where all of the children and grandchildren resided. 6. The testators signature must be acknowledged by 2 witnesses, who in turn must also sign the document in the presence of the testator. An administrator of an estate derives his/her power form the Letter of Administration which is obtained by an application to the court. Letters of Administration are granted in instances where the deceased died intestate. Where the deceased had a valid will at the time of his/her demise an executor would have been identified in the will. 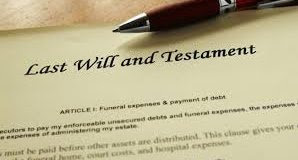 The grant of probate ratifies the functions and the powers of the executor, usually by reaffirming the contents of the will, and clarifying grey areas, if any. Although an executor of a will may deal with the estate immediately upon the death of the testator, the ability of an executor to continue to act, is dependent on the grant of probate; he/she may not perform certain acts without same. This is not the same in the case of administrators. By law, an administrator derives his/her powers from the Letter of Administration and thus may only act upon the grant of same. The exception to this general principle is where these actions are for the interest and benefit of the estate – in which case they will be correlated back to the date upon which the deceased died, and validated by the courts. e. Where children born in wedlock fail to acknowledge the rights of children born out of wedlock, this may lead to the nullification of any Letters of Administration which might have been obtained without their input, knowledge or participation. Death is the only certainty in life and so it is a subject which should be addressed and well catered for; many people have allowed their fear of death to hinder their ability to plan appropriately for it. Please note…… the making of a will does not lead to death. I must stress the importance of updating one’s will periodically, especially in instances where there might have been substantial changes such as a divorce, a marriage, a new birth or fluctuations to the initial financial disposition of the testator. There is no point having a will if the majority of your newly acquired “Buhari Wealth” is not reflected in the document. 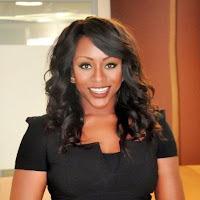 Ivie is a commercial lawyer, with experience and keen interest in projects and transactions work within the Sub Saharan African region. She is called to practice in England and Wales and Nigeria. Her core practice areas: include - all aspects Corporate Commercial; Corporate Governance, Risk and Compliance; Financial services and Banking; Infrastructure and Projects; Venture Capital, Private Equity and Alternative Investment (including Fund Formation and Administration) ; Public Procurement; Natural Resources; Telecoms, Technology and Media; Agribusiness; Manufacturing and Construction.